Resilience among a group of marginalized adolescent students improved after four equine-assisted psychotherapy sessions, researchers report. The resilience of the students who undertook the equine therapy, which was ground-based and did not involve any riding, was compared with a group of their peers who underwent sessions in a psycho-education group. The researchers from the Department of Social Work at New Mexico State University said many of today’s marginalized adolescents lived in socioeconomically disadvantaged families. About 15% of them will have diagnosable mental health disorders. The onset of problem behaviors before the age of 15 was associated with the risk of adult disorders, they said. To address this, a growing number of behavioral health therapists were putting adolescents and horses together in nature-based therapeutic settings away from offices and traditional talk therapy. Wanda Kay Whittlesey-Jerome and her colleagues used the Equine Assisted Growth and Learning Association’s ground-based equine-assisted pscyhotherapy model for their study. The program focuses on a client’s own development and interpretation of symbols and metaphors in the presence of horses without influence of the therapist’s own treatment agenda. Twelve adolescent students attending a charter high school for marginalized adolescents were used in the research. They were in grades 8-12. “Our sample was living in chaos and poverty and were at-risk of dropping out of school because of behavioral issues,” the study team reported in Pediatrics & Therapeutics. Seven of them, aged 15-19, were placed in the psycho-education group. The five in the equine-assisted pyschotherapy group were aged 15-18. Emotional reactivity, which is designed to measure sensitivity to intense arousal, recovery to normal functioning following a strong emotional reaction and impairment of functioning due to strong emotional reactions. The RSCA assessment of each student was repeated after they had completed the four two-hour weekly sessions in their respective programs. The students scored similarly in the test beforehand, although there were some statistically significant differences. Female adolescents showed significantly higher scores than males in Mastery and Relatedness before they were exposed to either program. “Following the intervention, there were significant differences in scores on various subscales by gender,” the researchers reported. The horse-based intervention appeared to be more effective in the areas of Mastery and Relatedness, while the psycho-education intervention appeared to be most effective in the emotional reactivity domain. “Importantly, gender was a factor in the results,” they noted. 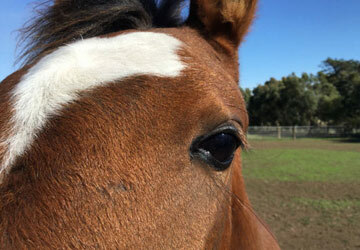 The study team had hypothesized before the study that the horse therapy group would show increased scores on indicators of resilience when compared with those participating in the pycho-eduation group. Although the psycho-education group tested higher on positive aspects of resilience and lower on the negative in the test beforehand, the opposite appeared to occur in the later test, following the four sessions. However, the horse therapy group did poorer on emotional reactivity in the later test than the psycho-education group. “We considered that on familiar turf, the adolescents participating in the pyscho-education group may have felt more comfortable and less anxious than the group that ventured out each week to the arena – a new and possibly unsettling place. Discussing their findings, the researchers said: “For an adolescent that suffers from a lack of resilience, strengthening that resilience is a preferred avenue for treatment. They noted that, since the late 1990s, social and behavioral scientists had been studying the use of horses for a variety of human health and behavioral health conditions. Yet the key question remained: What was it about being with horses that helped human beings? The study team said equine-assisted psychotherapy was continuing to gain momentum as a mindful, solution-oriented experiential therapy with horses. “Although we know that today’s environment can differ widely for high school-age adolescents, we wonder if equine-assisted psychotherapy could provide them a link back to nature, to their physical, mental and emotional selves and the strengths they’ve lost or are yet to discover? “Anecdotal evidence has shown that most male adolescents respond favorably to horses. However, there are a few who have resorted to aggressiveness and intimidation in the arena. “In these cases, the males have attempted to problem-solve by trying to bully the horses around. This typically does not work and can lead, ultimately, to a powerful learning experience. “Overall, it appears that female adolescents tend to respond to horses in a positive manner. “We suggest that, because horses are prey animals, females might naturally identify with them for that reason, though females often say they are attracted to horses for their strength and beauty. The researchers said their goal was to explore equine-assisted psychotherapy as an addition to conventional treatments for behavioral change with marginalized adolescents. Whittlesey-Jerome was joined in the research by Pamela Schultz and Joseph Tomaka. The full study, published under a Creative Commons Attribution License, can be read here.